Let’s join Betsy as Skipper, the Habit Implementation Specialist (and a chipmunk) sent by the Muse Council, tries to get her to see that she needs to deal with these little mundane tasks, too. You’re new. I don’t think I’ve ever seen you before. *Betsy considers the fuzzy gray blob standing in front of her* What are you, anyway? I have a dust bunny in my brain? Well, that explains a lot. So, why are you here? We’re overpopulated out in your living room. I was looking for my own place. *Betsy thinks* I’m not really sure how I feel about this. I mean it’s one thing to have the Guide for my Quest and my Muse, and Coffee and Skipper, the Habit Implementation Specialist chipmunk, all living in my brain, but having actual dust living in my brain seems wrong. *Clara sits on haunches* You’re the one who never vacuums. Dust was bound to get into your brain sooner or later. Clara? *Skipper hops down the frontal lobe* Where did you—oh, there you are. Hi, Betsy. *Betsy points* Did you know I have a dust bunny living in my brain? Sure. I invited her to move in. You did? *Betsy stares at Skipper* Why, for heaven’s sake? Because I think we need a Life Task Specialist on Team Betsy. *Skipper takes seat behind her maple desk* First, I’m quite pleased with how your “Tiny Task Initiative” is going (see this blog post for details). *Betsy sits in visitor’s chair* Yeah, I’m doing good, right? Check marks on my calendar almost every day. And the days I don’t get check marks, it’s because I’ve got a deadline for one of the tasks, so I can’t get them all done. But I’m actually working. Yes, yes. *Skipper flaps paw* You’re doing very well. But there are some important things slipping through the cracks. Did you know the corner behind the cupboard has been declared a hazardous zone? They’re advising all visiting dust bunnies to wear masks. 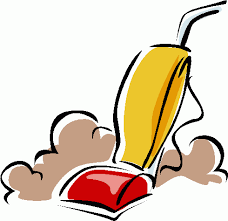 *Clara sneezes* And when dust bunnies think it’s dirty, you’ve got a problem. Have you noticed that I’ve been busy? Yes. *Skipper folds paws* That’s what we need to talk about. Although it’s wonderful to see you making progress on your tiny tasks, there are things in your life other than writing that you have to take care of as well. *Betsy throws up hands* What do you want from me! Either I’m going to be a writer, or I’m not! *Skipper holds up a paw* First- you ARE a writer. Period. Second, there are things that happen in day-to-day life, things like mowing the lawn and paying the bills, that you can’t totally ignore. So, we need to give those things some importance too. *Betsy slumps further in chair* Yeah? How? I only have so many hours in the day. *Skipper jumps up on her desk to sit next to Clara* I know. And it’s true that writing has to take priority with your time. But you can’t keep putting off the little tasks of life. It’s called balance, and it’s stressing you out. Not to mention the fact that you’ve incurred late charges on some things just because you didn’t take the time out of the weekend to pay the bills. And don’t get me started on the taxes. Okay. *Betsy sighs* I guess stuff has to happen. But I still don’t know when I’ll do it all. *Skipper dangles back paws off desk* You’re going to do what you’ve been doing with the writing. You’re going to add another tiny task. *Betsy looks up* I am? *Skipper nods* Yes. You will have five tiny tasks to do every day. 50 words of new fiction. 50 words of new other stuff. 1 minute of walking. 5 minutes of publishing / business stuff. And 5 minutes of life tasks. *Betsy sits straighter* I don’t know if I can do it. I don’t know if I can handle five tasks every day. *Skipper shrugs* I think your biggest problem is being overwhelmed. It seems like too much to do, so you don’t do anything. You’re going to have to chip away at it. You need to create a disciplined, structured environment to write, not ignore something until you have to run around like an idiot to take care of it at the last minute. *Betsy thinks* So, don’t run away from life or use the writing as an excuse. Take care of the routine bits and pieces of life a little at a time. That way I’ll make some progress, and they won’t build up and choke me? *Skipper bounces to her feet* *Strikes cheerleading pose* By George, you’ve got it! *Betsy sighs* Okay. *sighs again* Guess I’ll get out the vacuum cleaner. *Clara hops off desk* I’d better go tell the family to head out of town until you’re done. How very easy it is to be so focused on a project or two that you let the ‘minor’ things slide until they become a huge project all in themselves, and then it’s so overwhelming you don’t know where to start. Really, really good advice to do a little each day, but let’s be serious, it’s not working on what is exciting or ‘fun’ at the moment – so it’s pretty easy to run out of time to work that stuff in. 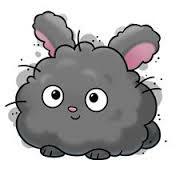 I’m sure there’s a whole ‘dust bunny summer camp’ happening somewhere in my house! But now, the outside takes precedence, mow, mow, mow! Weed, weed, weed! Plant, plant, plant! No time for cleaning! I think I need a Skipper. Thanks for the thought provoking dialogues in these posts, very enlightening.